Grunge is one of the most vivid and extraordinary artistic styles of photography. Cool posters for films, portrait photos, snapshots for collages and social networks are often made out in this way. Giving images the grunge style is can be done via free grunge Photoshop brushes. After downloading our 10 free Photoshop grunge brushes, you will significantly reduce the time of photo editing, get a lot of new and creative ideas for work, and also have the opportunity to create a unique fashion photo. All brushes are tested on a large number of pictures and created by professional designers and retouchers, so you can start working with Photoshop free grunge brushes right now without worrying about your photograph’s quality. The following Photoshop grunge brushes free can be used at any time when you need to add a fashion touch to the picture. You can create a ragged edge effect, or you can apply the grunge brush set Photoshop free in the form of rusty streaks and scratches for the photos with text. The grunge style provides a broad platform for experiments. Though the photos become shabby, dirty and aged after Photoshop free grunge brushes, the quality does not deteriorate, and all your results are saved in a separate folder, so you can always go back to the original image. Brushes for Photoshop are an excellent resource for designers and graphic designers in order to decorate the layout, make it more expressive and just save your time. In the network, you can find a lot of grunge brushes Photoshop free download, but most of them, unfortunately, are provided in the low resolution, which makes them useless for large format works. 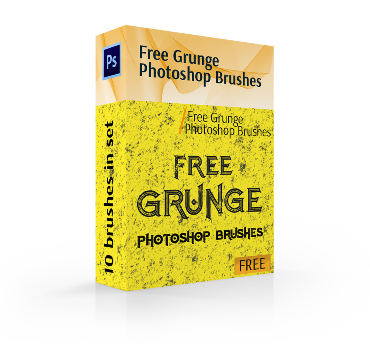 In this collection, you will find 10 kinds of free grunge Photoshop brushes in high resolution for your creativity. 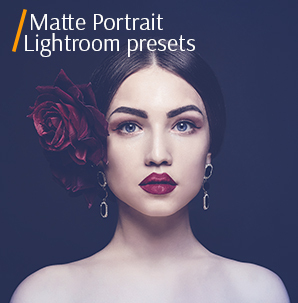 • For any version of Photoshop, from 4 to 6 editions. The first Photoshop brush grunge free is an imitation of a faded film with chaotic tin glimpses. From a distance it can resemble a leaden sea before a storm, at which light reflections of the moon appear through the thick clouds. 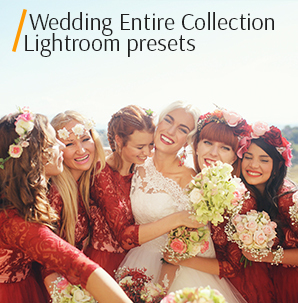 The tool can give a certain amount of depth and volume to your images. They are suitable for chamber photos, made in dark colors, which will only strengthen this effect. It can be both portraits and background for posters. You can use free Photoshop brushes grunge to create a new background. 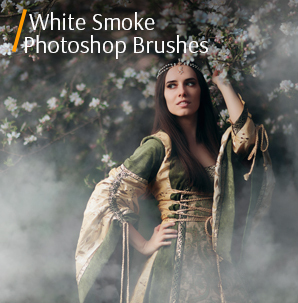 To perform additional settings and change brushes you will need a good knowledge of the Photoshop. This unusual free grunge brush for Photoshop creates a rusty surface effect. It is difficult to achieve such vertical and accurate traces of rust on the metal surface, so you can use this ready-made brush. It is suitable for design posters, retouching urban and city photographs, and for portraits made in this style. Try taking photos in HDR mode and applying these brushes to them, adjusting their brightness and transparency. 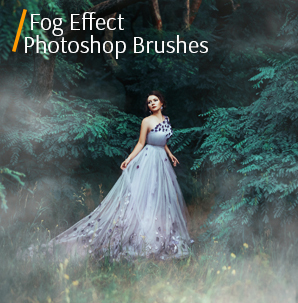 You can use this brush to fade a photo or hide an unwanted object. This deformed texture is dark green with yellow and light green patches resembling an enlarged surface of the gem. The material resembles a mossy surface of a log. This grunge brush free Photoshop adds brightness to the image and a little roughness. Suitable for photographs with an urban landscape, as well as for photographs that depict factories, plants and various technical installations. Brush’s group: Photoshop Grunge Brushes Free! If you want to age your images, use these Photoshop grunge brushes free. You can add a slight inaccuracy and a drop of dirty effect to the various images used for printing (advertising posters, posters, fonts). These grunge brushes Photoshop free look like a bottomless sky with millions of light particles but in fact, it can only be a background for graffiti drawings. The texture is soft and smooth, rather than rough and bulky. Photos with metal objects or images with bright texts in the middle will look best with this brush. 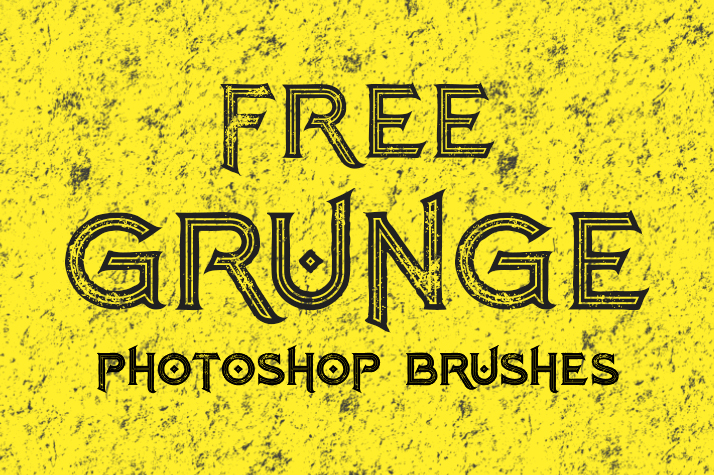 These free grunge brushes Photoshop are good for creating rough edges on photos. It looks like purple dust on a smooth surface. These free Photoshop grunge brushes are light and airy, “smudge” your image, whether it's a portrait, a picture of nature or an urban landscape. 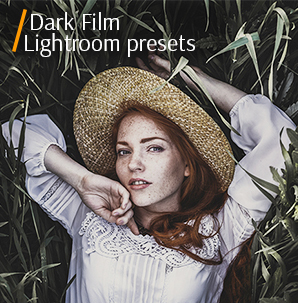 With this grunge brush Photoshop free, you can easily add unnatural colors, artificially created scratches and scrapes, some gloominess, pronounced drama to your photos. 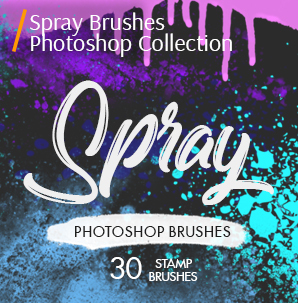 This kind of brushes can serve as a magnificent background for catchy city posters and various graffiti, and a light texture for portraits and subject photography. If you need to emphasize the image intimacy, saturate the cool tons, then apply the brush on the background. This type of grunge Photoshop brushes free is perfect for posters with various architectural objects (lofts, factories, urban photoshoots, etc.). The smooth purple texture of the given grunge brushes Photoshop free can transform any portrait. It will become an excellent background or a subtle effect for the design of any printed product, and also the effect for posts on social networks. As if somebody put sponge many times on the canvas. If you do not like the color, you can change it using the Toolbar, where you can also change the size of the brushes. It looks like an enlarged picture of the lawn. But in fact, this is a clever combination of Photoshop color settings, which create the effect of a rough surface of a wall that has been smeared with a paint roller. You can use this grunge Photoshop brush free to give blur and deliberate mess to details in any genre of photos, where such style may be appropriate. It is advisable to make a new layer in the Layers palette when working with Photoshop grunge brushes free. In the future, this will give you the ability to move the brush stroke that lies on a separate layer (Movetool), and also modify it with the transformation commands (Ctrl + T). These free grunge brushes Photoshop resemble an image from the surface of Mars: a red color, a porous and slightly bumpy surface, where several distinct rectangular prints are visible. The material is like a sandpaper. Photos from gyms, city grounds, factory landscapes and designs for business cards, posters will become brighter, more noticeable and more extensive after using this Photoshop grunge brush free. 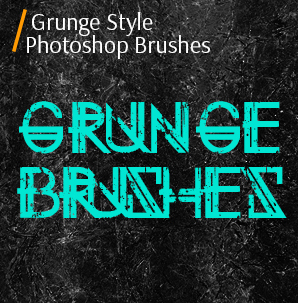 Receive free grunge brushes for Photoshop right now and try to experiment with your photos. 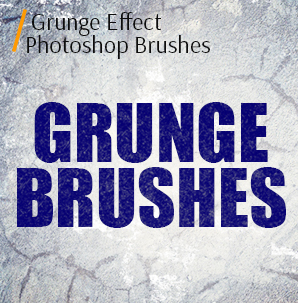 The main thing is that these brushes should be appropriate and create the necessary grunge effect. These brushes actually look like an uneven surface of hammered wet sand, because of clear granules. 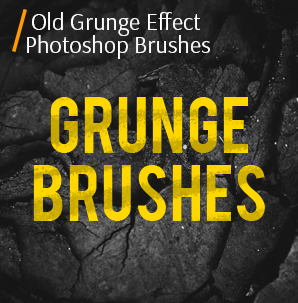 These free Photoshop grunge brushes will help achieve the graininess effect. Apply to urban, city architecture, buildings photography, design for booklets. You can change the transparency of the brush, on which the visibility of each stroke depends quickly and easily. If you reduce that point you can overlay the touches one on another, and the more they are, the more saturated the color is. These grunge brushes Photoshop free download will give that fashionable look and stylish effects to your photos with only several clicks.